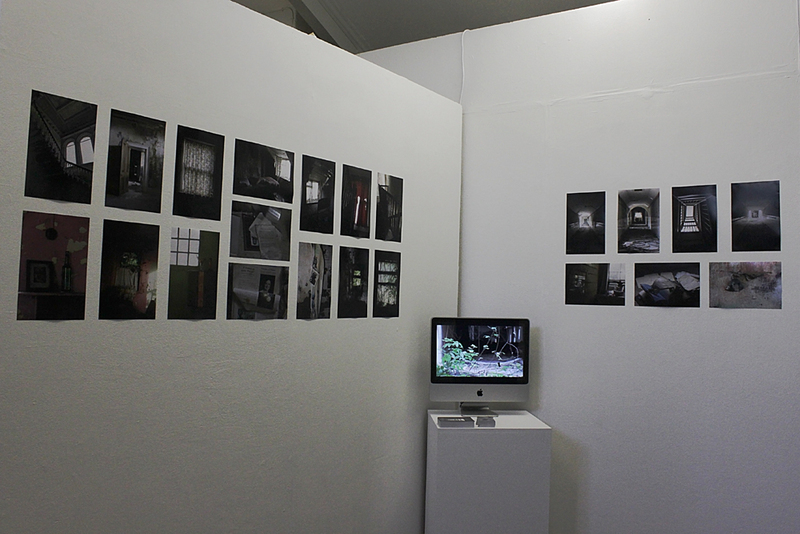 Below are photographs of my space at the MA Digital Art 2011 show. The Ghost House and Disciplinary Institutions videos loop one after the other on an Imac screen, and I have curated 7 Disciplinary Institutions and 15 Ghost House photographs on the walls. The show takes place at Camberwell College of Arts, 45-65 Peckham Road, London SE5 8UF, and is open to public Friday 2 September – Thursday 8 September (closed Sunday 4 September, Opening hours: Monday – Friday: 10.00 – 20.00 / Saturday: 11.00 – 17.00). See more of our work on our website: http://www.mada2011.com/! I’ve done a round up of degree shows of MA courses similar to ours, and tried to find reviews that could help us know recurring weaknesses to avoid when putting up our own show, or on the other hand things that the critics appreciate. A review, but it’s not very helpful regarding the strong/weak point of the show, it just sort of sums up the type of artwork. There is a MA Digital Media Development at Winchester University, but this course seems much more industry and less Fine Art oriented than ours, plus the pdf of their show only lists works from Ba/Bsc students, even though the MA students are supposed to show with them. Interactive media MA at Goldsmiths College: Show site. I’m pretty sure there used to be a MA Digital Art and Technology at Plymouth but it seems to have turned into a MRes. So it seems that Brighton and Norwich have MA courses pitched similarly as ours, at the crossroads of Fine Art and Technology. The feel I get from the way the shows at Winchester and Goldsmith are presented is that they are much more ‘pure technology/industry oriented’ type of courses. I’m posting this here as well, because I think it’s useful for us students to see what each other intend to show, so we get some kind of unity in the show. What do you intend to exhibit? 2 videos. I would like to project them on a wall or white fabric rather than show them on screens, so they look more ghostly/cinematic. They may be shown looped one after the other or on opposite walls so that the viewer stands in between them, depending on available projection space. Depending on whether it is wide enough to use projectors in it, the corridor may be an atmospheric place to show the videos. However I’m flexible about this because I think Christalla may need it more for her installation. Some photographs. I do not know yet how to present them, but in any case each photograph is 12*8” printed (unfamed). I can curate between 6 – 20 of them depending on the (fair compared to other students) amount of space allocated to me. Solution 1 to show the photographs: traditionally framed in 16*12” frames. 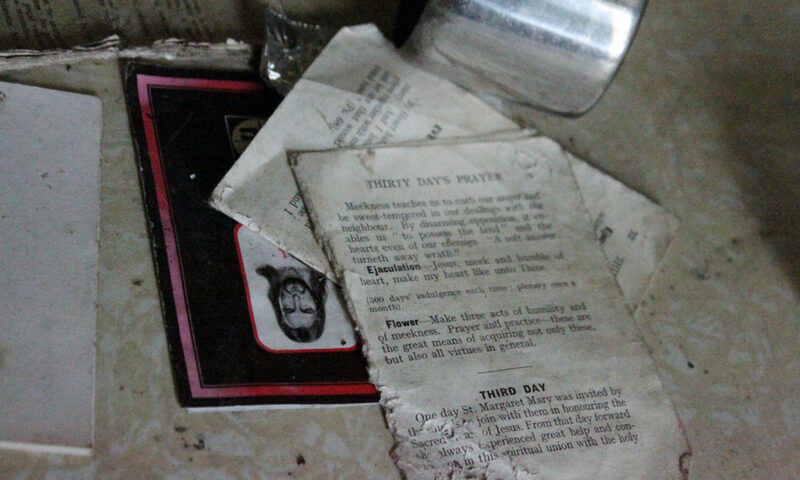 This is probably best if the ‘light room’ looks very ‘fine art’ (I know Matt and Tahira show photographs too). Solution 2: a printed book like Kevin did last year (subject to cost) on a shelf + a few unframed photographs pinned on the wall above the shelf. This informal/scrapbook look may be best if the show has a ‘not Fine Art’ atmosphere. Do you have any other specific requests? Dark space for videos, corridor may be nice. If possible, 1 or 2 projectors from UAL store for the videos. If possible, 1 or 2 DVD players as well, but I could probably get those on freecycle if needed. Power supply for those. Screens or white sheet if the wall space is no good for projection. Really, I need an area both in the dark and light room but I’m quite flexible as to how big in each (as long as the dark space is big enough to use the projectors). What are the Health & Safety considerations? Put the projector cables so that they don’t cause a tripping hazard.